TMJ - Dentist in Wayne, PA | Jonathan D. Stone, D.M.D. TMD, then, describes a group of conditions characterized by pain and TMJ dysfunction and/or the muscles surrounding it. It's not always so easy to figure out exactly what's causing TMJ symptoms, but the good news is that most TMD cases resolve themselves with the help of conservative remedies that you can try at home. In fact, it's important to exhaust all such reversible remedies before moving on to anything irreversible, such as bridgework or surgery. The two TMJs that connect your lower jaw, the mandible, to the temporal bone of the skull on either side, are actually very complex joints that allow movement in three dimensions. The lower jaw and temporal bone fit together as a ball and socket, with a cushioning disk in between. Large pairs of muscles in the cheeks and temples move the lower jaw. 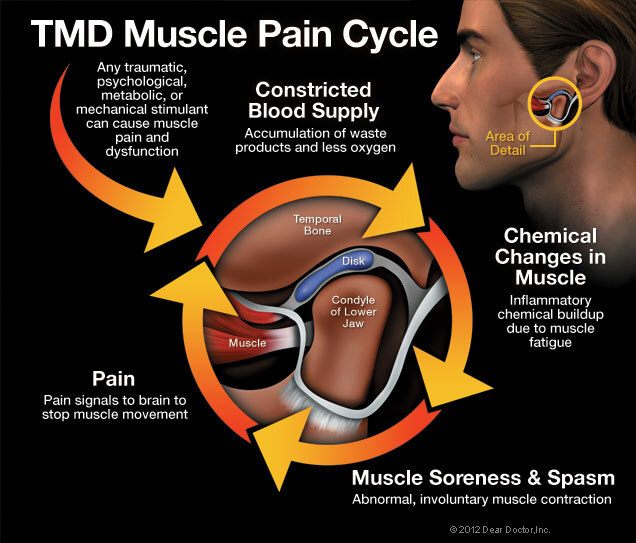 Any of these parts — the disk, the muscles or the joint itself — can become the source of a TMD problem. If you are in pain, or are having difficulty opening or closing your jaw, a thorough examination at our Wayne dental office can help pinpoint the problem area; then an appropriate remedy can be recommended. Severe TMD cases may require more complex forms of dental treatment, which might include orthodontics, dental restorations like bridgework, or minor procedures inside the joint such as cortisone injections or lavage (flushing) of the joint. It's rare for major surgery ever to be necessary in a case of TMD. Again, it's important to try the wide range of conservative, reversible treatments available, and give them enough time to work as they almost always prove effective. The first step is an examination at the dental office. 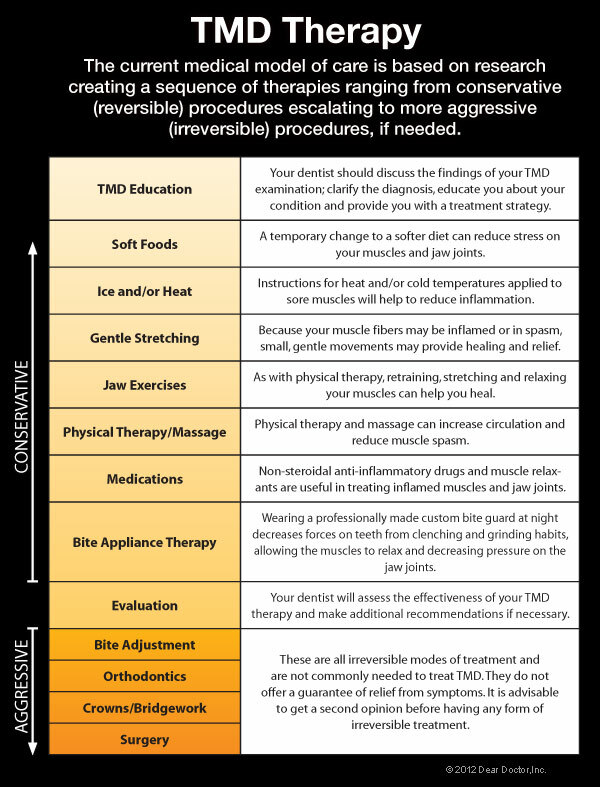 To learn more about available treatment options, view this Chart on TMD Therapy. 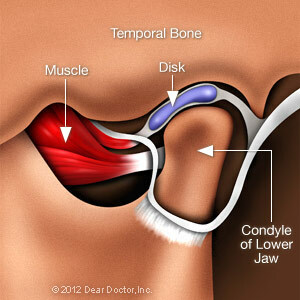 For more information on TMJ Treatment in the Wayne, PA area call the dental office of Jonathan D. Stone, D.M.D. at (610) 687-0505 today!